You need not be versed in Rocky folklore to swallow every hook in Creed. Truly great sports films are few and far between - great boxing films further still. All retain similar characteristics; the underdog story, the intrinsic ability to inspire, an element of realism, the conflicted protagonist - often an untapped wizard of his or her physical craft. Oh, and naturally, a damn good training montage. Allow me to cross-reference each criterium with Ryan Coogler's Creed: Check, check, check, check and - oh boy - check. The seventh Rocky instalment is the finest since the ground-breaking 1976 original, and in a genre which could rightly be accused of stagnating during the most rapidly-progressive film age in history, Coogler lands one bang on the whiskers. 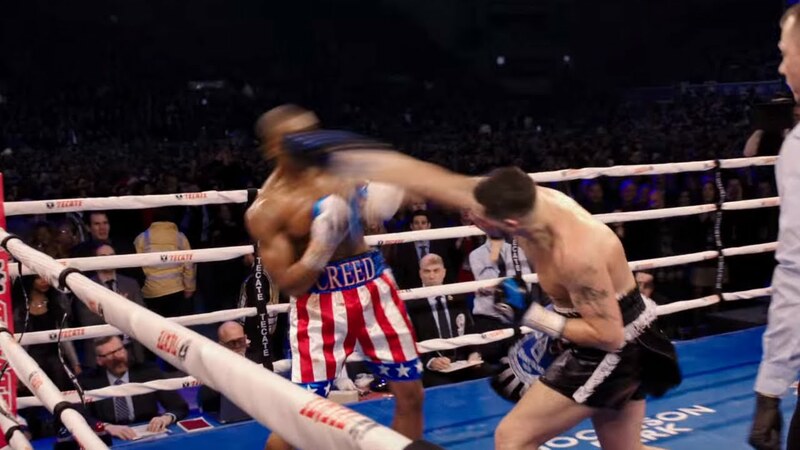 In boxing terms, Creed is a first round knockout of 2015's nightmarish Southpaw, and a split decision victory over 2010 Micky Ward biopic The Fighter. In non-boxing terms, Creed is one of the best films you'll see in 2016. Director Ryan Coogler unabashedly carries the Rocky legacy; the humble, unheard-of boxer. The wily old mentor. The afflicted but powerful female presence. The fist-pumping tangle with adversity. Title character Adonis Creed is the illegitimate son of Rocky's legendary foe-turned-friend Apollo. Adonis, or 'Donnie' (played by the magnificent Michael B. Jordan), battles the ghosts of his own illegitimacy both inside and outside the ring - his tumultuous childhood spent bouncing from juvenile detention centres to group homes and back again, his adult life a fight for approval beneath the enormity of his father's shadow. This is the best we've seen of 28-year-old Jordan, rebounding from the frankly reprehensible Fantastic Four to produce one of the most physically demanding, emotionally exhaustive and exhilarating performances of the year. Indeed, it's frankly farcical that he wasn't nominated for a Golden Globe or an Oscar, with Concussion's Will Smith and The Martian's Matt Damon seemingly 'Old School Charm-ing' their respective ways to the top of the queue in his stead. And yet, for all Jordan's perceived misfortune, the notion that 'luck' had a role to play in his chief support's first ever Golden Globe victory, and first Academy Award nomination since 1977, is a wild swing-and-miss. 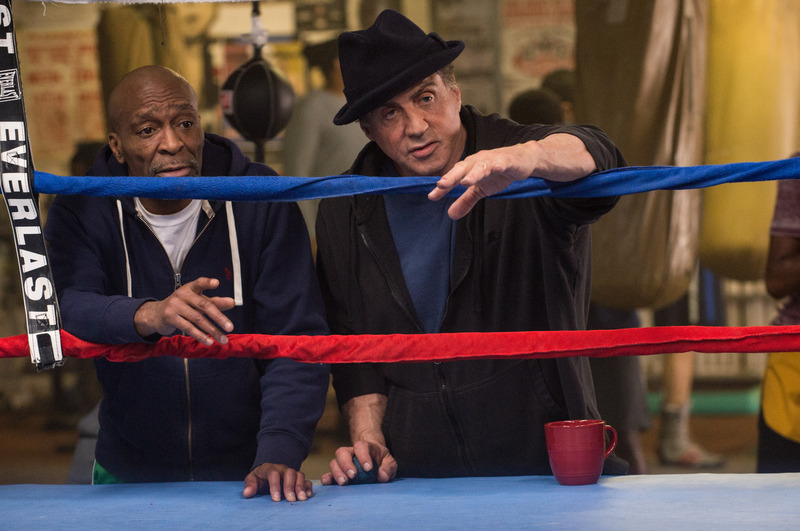 Creed might be Sylvester Stallone's most sophisticated performance to date. Under the astoundingly astute Coogler's guidance, the old dog proves he still has plenty of fight left in him; the authenticity of his punch-drunk, weathered old character's reinvigoration as a mentor-trainer to a fiery youth perhaps symbolic of Stallone's theatrical resurgence alongside a charismatic young actor of Jordan's ilk. An unfamiliarly nuanced 'Sly' reprises the role that made him all those years ago, but in a more observatory, calculated capacity, as Mr. Balboa weighs in for his twilight years. 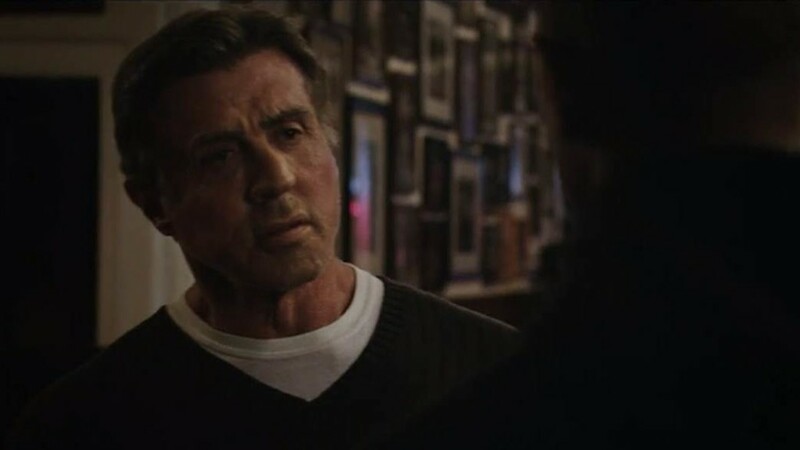 One of Stallone's scenes in particular - incidentally one of the most powerful in the film - reportedly reduced viewers to tears (not me, I swear); the 'anti-Expendable' in him unleashing an unexpected added dimension of defenselessness to his time-tested character. It is a string he clearly pulls from the bow of his director, 40 years his junior. It's frightening to think that director Ryan Coogler is still just 29, especially when you take into consideration that arguably his greatest strength is patience - not with his actors, but his characters. 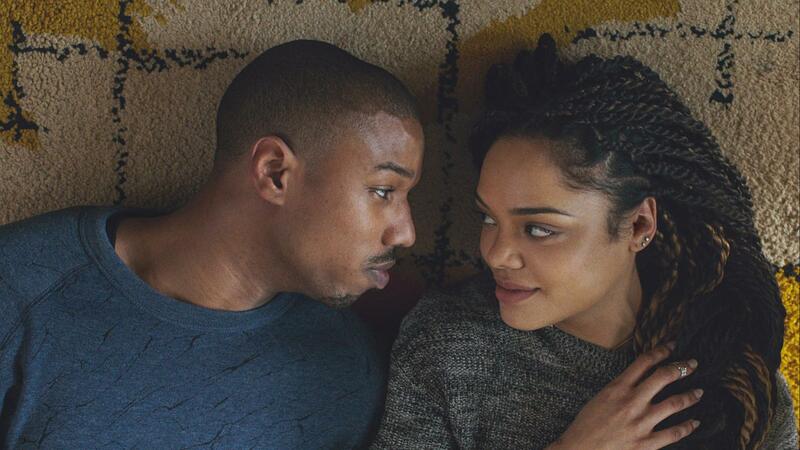 Coogler also directed Michael B. Jordan in the critically acclaimed Fruitvale Station, and has an intriguing habit of allowing his characters to 'breathe' - be it post-dialogue or as a scene draws to a close. Where many directors would cut away, the Californian fixes the camera on his characters for a couple of painstaking extra seconds; waiting, watching, for a twitch or a gaze or a sigh, for an improvised but organic reaction to scripted circumstance. It evokes something complimentary from his actors, in turn providing their characters with a broader emotional spectrum to explore throughout the film. It may well have propelled Stallone to his first major award in 39 years. Where lead character Donnie seeks to combat his psychological demons in the squared circle, we discover a 70-year-old Rocky teetering on the brink physically, willing to succumb to his most ferocious foe yet; illness. Conflicted and defeated, 'The Italian Stallion' is reduced to an elderly man closer resembling an Italian gelding, requiring the son of an old friend to remind him he still has balls. And in truth, despite two mammoth individual performances, it is the pair's symbiotic on-screen dependency - the honesty, the humorous respite, the mutual inspiration - which allows Creed to flourish as a stand-alone film; an exception to the Rocky legacy, an exception to the many rules of sports film-making. 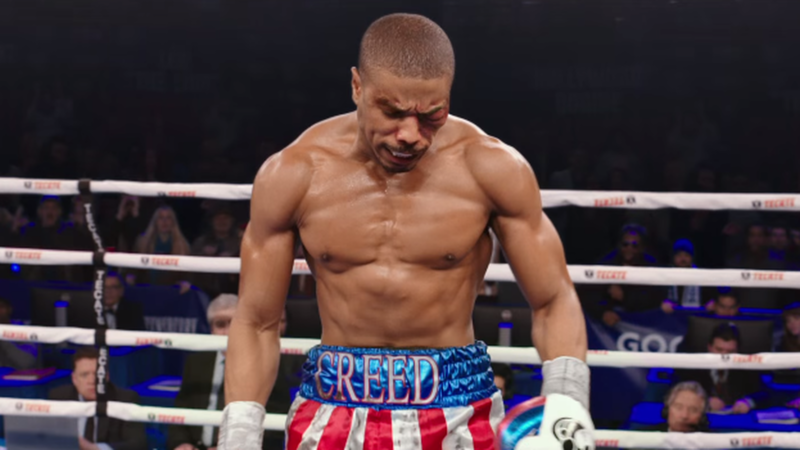 But irrespective of the picture's out-of-ring complexities, Coogler's ground-breaking fight scenes define Creed as one of the best sports films of our time. Indeed, if you had planned to watch it from a computer or hard drive, just don't do it. 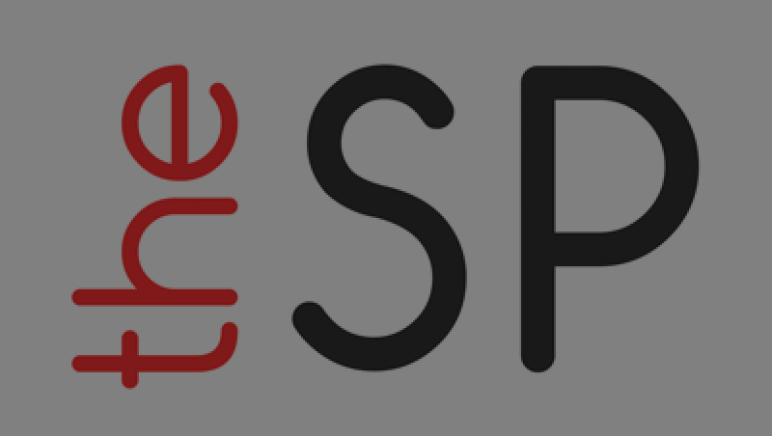 Don't cheat yourself out of this cinematic experience. The surround-sound and choreography during Donnie's Rocky-typical climactic scrap with the 'Pretty' Ricky Conlan (played capably by professional cruiserweight boxing contender Tony Bellew of Liverpool) catapults the viewer into the centre of the ring. The bellowing Goodison Park crowd echoes from all corners of the theatre, with vicious voices from both fighter's corners striking you from the relevant angles as the action whirlwinds around the canvas. Coogler creates a world where each viewer is pulled through the ropes, almost as if expected to guest-referee one of the most pulsating fictional fights you'll see in any film. In truth, Creed's chief source of antagonisation rather subtly manifests itself in the chief characters' respective personal battles - this as opposed to the physically superior, typically snarling opponent so often recycled in boxing movies. The abrasive Ricky Conlan (trust me, as a boxing writer, Bellew didn't have to dig too deep here) almost takes a back seat across the Atlantic; Coogler chooses not to let his rivalry with Donnie even simmer. It's artificial. It's business. And that's boxing. And still, despite Conlan's once-or-twice-seen softer side, you can't help but want Donnie Creed to beat the living Christ out of him. In fact I was struck by the almost palpable, collective will for Donnie to succeed at Monday's Dublin premiere. Throughout his fight with the nuclear-fisted Conlan, the roar of the film's Goodison Park audience was occasionally drowned out by a few dozen screeching movie-goers. 39 years after we first willed Rocky Balboa off the canvas in his Superfight with Apollo Creed, his opponent's cinematic son was now being vociferously encouraged by O'Connell Street's Savoy Cinema. The emotionality, of course, all comes down to director-supreme Ryan Coogler; the barn-burning action complimented by Maryse Alberti’s electrifying camerawork. But despite the explosiveness of the film's bona fide 'Hollywood' scene, Coogler's directorial cherry on top - at least from a technical standpoint - arrives far earlier, with a remarkable one-take fight scene, which lasts roughly seven minutes. No cuts. Add to the mix Bianca (Tessa Thompson), a conflicted R'n'B artist who transcends the love interest cliché to become an integral figure, and a force to be reckoned with. Like Rocky, Bianca takes Donnie under her wing - a calming but motivational presence who lures a curious vulnerability out of Jordan and his character. Similar to Rocky's beloved Adrian, Bianca is afflicted, but the latter's hearing-impairment certainly follows suit in never crossing the line to 'gimmick' territory, instead augmenting Thompson's boisterously uplifting display. Thompson's own music is used throughout the film, and much like her character it becomes a soothing counter-weight to the natural freneticism of a boxing feature. Meanwhile, the famous Rocky theme tune is teased expertly via slow instrumentals from the offset. You'll spend some time expecting it to kick in, but when the horn finally sounds you'll have long-since forgotten. Warning: The immediate urge to punch the air may cost you some popcorn. The spine-tingling throwbacks don't end there, but each one - for Rocky fans at least - is an 'elbow the person next to you' moment, and I wouldn't dare deprive you of even one of them. But even for those unacquainted with 'The Rocky Legacy', fear not. The seventh instalment is far richer than the mere boxing underdog story of old. Instead, it's an original, complex battle with life's hardest-hitting opponent: The man in the mirror. A haymaker to the jaw of those who doubted the merits of Rocky's resurrection, Creed is a toe-to-toe triumph.